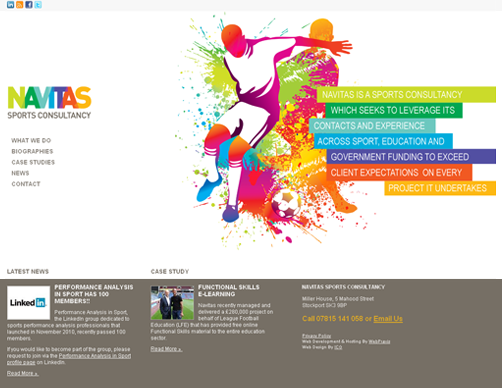 Navitas are a Manchester based sports consultancy company and one of our newest clients. They energise sports organisations through strategy, education, athlete and organisational development. WebPraxis Web Design have been busy building the Navitas website over the last month. The website uses the Textpattern content management system and includes the lastest news and case studies from Navitas. WebPraxis will be providing ongoing marketing services to Navitas over the coming year, including email marketing and continuing website updates and improvements.